Lily Malone is in the bar! Gracie, thanks! I’m a journalist and freelance writer who discovered after years of writing facts for a living, writing romance was much more fun. The Goodbye Ride novella is my second release in 2013 and is inspired by my husband’s life-long love of Ducati bikes, 650 Pantahs in particular! My first full-length contemporary romance, His Brand Of Beautiful, was released by Escape Publishing in March. At the moment I’m working on a contemporary romance story called Fairway To Heaven which is (wait for it)… about golf! 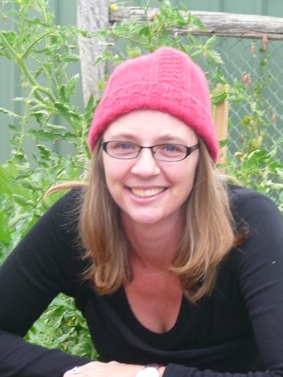 I juggle my writing with the needs of my young family, and when I’m not writing, I like gardening, walking, wine, and walking in gardens (sometimes with wine). A woman and wine-drinker after my own heart… but it sounds like I’m not going to be able to tempt you with a cocktail? 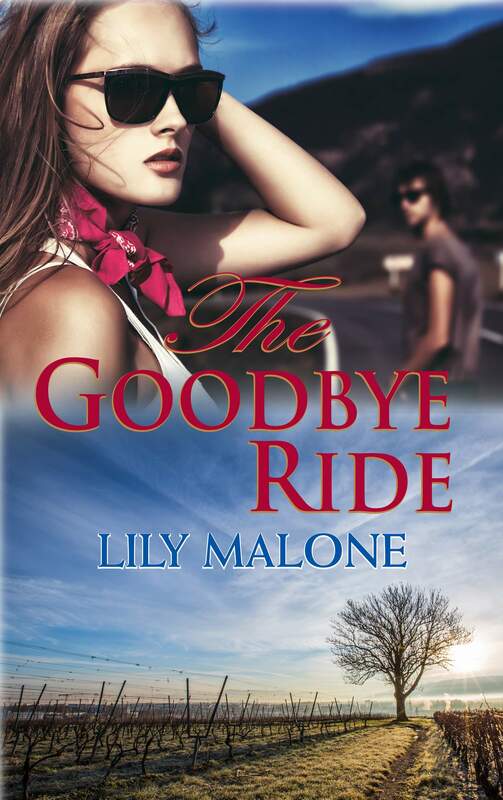 I think it’s no secret by now that Lily Malone enjoys her … err… alcoholic beverages as much as the next author, however, I am not brilliant at the whole cocktail scene. I’m a wine girl through and through, and if it’s not wine, it’s usually champagne. Sometimes, I’m partial to the white spirits, like gin or vodka. Vodka, lime, soda was a favourite at one stage of my life and gin & tonic a close second. My favourite champers for a special occasion is Yarra Burn. If it’s a special, special occasion, I love ‘Croser’; and if it’s rooly, rooly, trooly special… well, I wouldn’t knock back Veuve/Dom Perignon. Did you know most people open champagne bottles the wrong way? All those wonderful, celebratory popping corks? Totally wrong! Apparently it bruises the bubbles! What you want is a gentle “kiss” of sound, and the way to get that is to hold the bottle at a 45-degree angle, hold the cork with the fingers of your other hand and twist the bottle, not the cork. As the bottle turns, the cork will slowly ease out, your Dom Perignon bubbles will reward you with a kiss and none of our Calypso Bar party guests will lose an eye! Don’t say Gracie Macgregor isn’t chock-full of alcohol trivia! Speaking of party guests – who would be your desert island companions of choice, Lily? I can hear the groans from here… but if I had to be stranded on a desert island, I’d love to have Warnie, Michael Holding and Timothy Olyphant. I just hope Timothy knows a bit about cricket or he might be a bit bored. Well, too bad, he can just look cute under a palm tree. Warnie can spin coconuts at Timothy and Michael Holding can just… well, he can just talk. I can listen to his Calypso cricket voice mon, for hours. Okay. Days… yep, weeks. A cricket tragic! Does that mean your essential desert island reading is the latest Wisden Almanack? No, but it’s a really hard choice. I do have books that I’ve read over and over again. They are (in order of times read): The Twilight Saga series; The Earth’s Children series by Jean M Auel; and The Riftwar Saga and Empire trilogy by Raymond E Feist, and Feist & Janny Wurts respectively. BUT – in answer to your question, if I could only take one book to the island, I’d choose Stolen Prey by John Sandford. The reason I’d take it is: this book has some of the best sexual tension I’ve ever come across. It’s a crime novel – they’re chasing a psychopathic killer – but the secondary plot of the relationship between Lucas Davenport (cop hero) and Lily Rothenburg (cop, heroine) blows my mind every time. Don’t think I didn’t see how you snuck in a whole heap more than one book there, Lily Malone. Sneaky! What’s on your desert island playlist? That’s going to be one rockin’ party! Finally, Lily, where can readers find you and your books? I’m on Facebook and Twitter, and I blog right here. You can find The Goodbye Ride here and His Brand of Beautiful here. Lily, thanks for joining us in the Calypso Bar! We’ll have another romance guest with their own desert essentials here next week! Oh that was just the BEST fun Gracie! Thanks so much. Who knew about popping corks and champagne? All of my best lessons in life, I’ve learned in bars! Lily, you’re a wonderful guest. 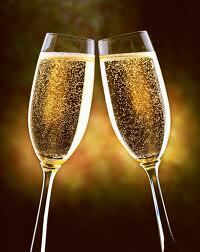 The champers will be chilled and waiting for you any time you want to return! Each time I learn more about you, Lily Malone, and I’m more intrigued. Warnie spinning coconuts sounds good, if he can open the champagne properly. I’m hopeless at it. Great post, loved your insight in the alcoholic beverages 😉 Have I told you that my family is from the famous wine region along the Moselle ? Oh, come on, Iris. 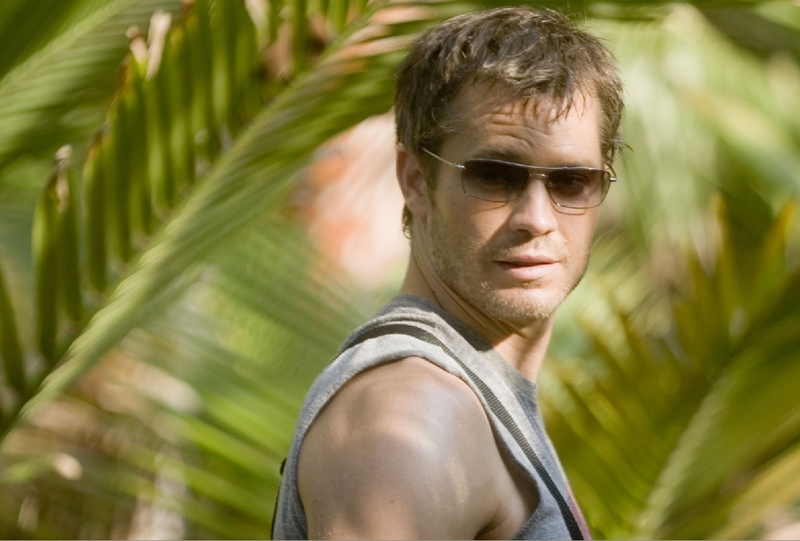 Lily can have the cricketers and we’ll share Tim Olyphant’s attentions. You can bring the Moselle! You’ll have to have a whole lot of us over at the Calypso Bar one week Gracie! Lovely blog and interview. Lily, I can’t say I’m a cricket fan because I’m not – but I can say I would enjoy Champagne and Johnny Cash with you! Alison, I grew up in a family where our entire post-Christmas meals schedule was tied to the breaks in the Boxing Day Test. We’d have just as soon gone swimming to China as gone to the Boxing Day retail sales! We both like wine and books .. but you can have cricket all to yourself! "A Case for Trust" is out now!